As we inch closer and closer to Wonder Woman, there’s a sense of positivity starting to build around the DC Extended Universe. The first wave of reactions to the film were pretty promising and with recent announcements of projects like Nightwing and Batgirl causing much excitement amongst fans, it’s beginning to look like things might be about to turn around for the struggling franchise. Of course, Justice League is the big unknown at the moment, and given the fact that so much hinges on it, the mixed reports we’ve been hearing about the production have been a cause for concern. We’re trying to remain optimistic, but even if it does end up bombing, Warner Bros. still has one last card to play that could make all the difference, and it comes in the form of Dwayne Johnson. 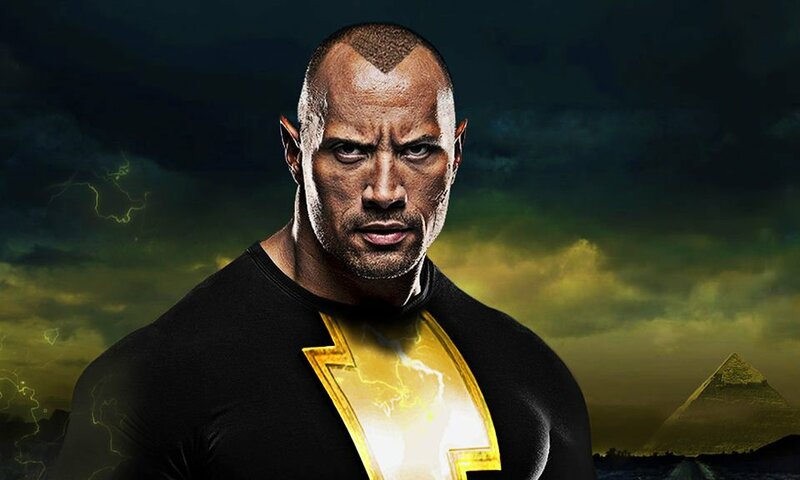 Set to star as Black Adam, the actor hasn’t shown up in the DCEU just yet, but he’s bound to make an appearance soon and he could single-handedly give the cinematic universe the boost it so desperately needs right now. He’s revived franchises before and we’ve no doubt he’ll be able to do it again here – should he need to. And while we can’t say for sure where the character will show up first, one place he definitely won’t be is in the Shazam film. Despite that being the original plan, some unconfirmed reports have begun to surface which say that the project is “practically off the table” at the moment. Apparently, the studio wasn’t feeling the first drafts of the script and right now, they’re far more interested in Black Adam. Still, they do hope to include Billy Batson in one of their films, but it’s not known in which movie he’ll appear or in what capacity. As such, we still don’t know who Warner Bros. is looking at to play the character. That didn’t stop Johnson from causing quite a stir though recently, when he dropped Armie Hammer’s name after being asked who he’d like to see bring Shazam to life. Ever since then, the fan art imagining these two going at it has been pouring out at an alarming rate, and that continues today with the image you’ll see below. 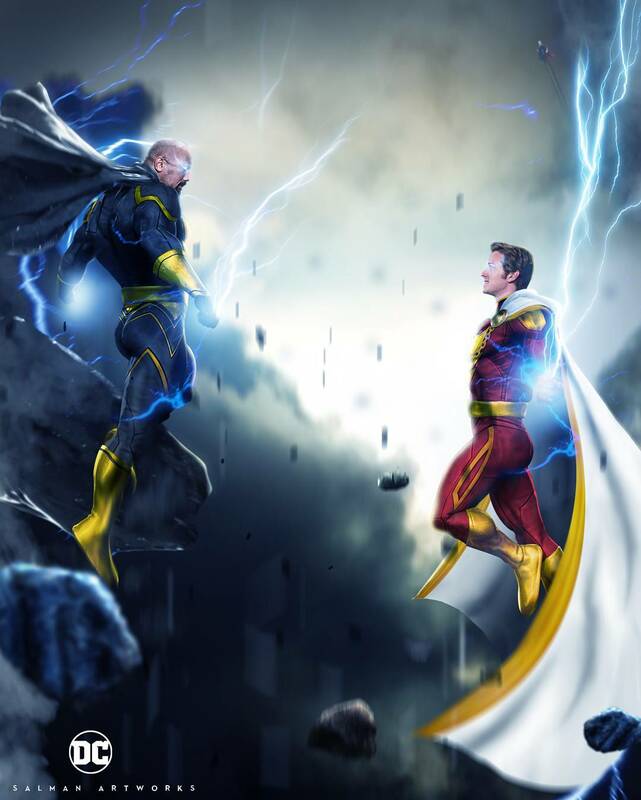 It depicts The Rock as Black Adam and Hammer as Shazam, with a certain Man of Steel off in the background watching over the whole thing. There’s nothing to say that either actor will look like this once they actually hit the big screen, and we don’t even know if Armie Hammer will end up in the DCEU, but if things do turn out like the artist here has drawn them, we certainly wouldn’t complain. Given The Rock’s influence and the amount of creative control he usually has on the projects he’s involved in, we imagine that if he wants The Lone Ranger star in the film and Armie’s up for it, then it’ll happen. Still, Warner Bros. hasn’t given us any indication yet as to who they may have their eye on and until they do, fan art like what we have here will have to suffice. At the very least, you have to imagine that the studio has taken notice of the push for Hammer to suit up as Shazam and with any luck, they’re on the same page as Johnson.